John Tunnel, founder and director of the Tunnell Insurance Agency, is announcing the launch of a charity event that promises to provide support to children in the Chicago area who are receiving medical treatment for cancer. 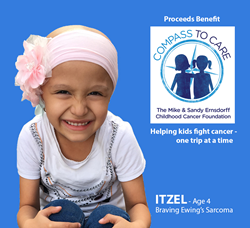 Donations from this event will be gifted to regional nonprofit Compass to Care, an organization that helps cover travel expenses for children who travel to and from the hospital for cancer care. “Almost a third of children diagnosed with cancer live at least an hour away from the closes pediatric oncology center, and our firm is working to cover travel expenses so these children can receive the care they need,” says Tunnell. An engagement program to help generate community support is being initiated by the Tunnell Insurance Agency for the duration of the charity drive. For each person referred into the firm for a no cost, no obligation insurance appraisal, the Tunnell team will make a cash donation on behalf of children with cancer. Additional information on how to be part of this charity event can be accessed from this page: http://www.tunnellinsuranceagency.com/Rewards_44. As a Personal Finance Representative in Chicago, agency owner John Tunnel knows many local families. His knowledge and understanding of the people in his community ensures that clients of Tunnell Insurance Agency are provided with an outstanding level of service. John and his team look forward to helping families protect the things that are most important - family, home, car and more. Tunnell Insurance also offers clients a preparation strategy for achieving their financial goals. To contact an expert at Tunnell Insurance Agency, visit http://www.tunnellinsuranceagency.com/ or call 773-279-8600.